Streaming video games have been a significant social and cultural trend over the past few years. Streamers work hard to cultivate their audience and keep them engaged, but the options for interactions with their viewers are somewhat limited. Melissa Yu, 22, Matthew Huang, 21, and Jesse Zhang, 21, are all devoted e-sports fans that wanted to have more abundant forms of engagement with favorite streamers, creating Camelot in January 2018. Camelot provides a streaming overlay that allows streamers to engage their viewers by completing “bounties,” thus increasing the variety of interactions a streamer can have with his or her audience. The startup was a part of Y Combinator’s Spring 2018 batch and has gone on to raise a seed round from the accelerator, the Philadelphia 76ers, Soma Capital, and William Hockey and Zach Perret the cofounders of Plaid. 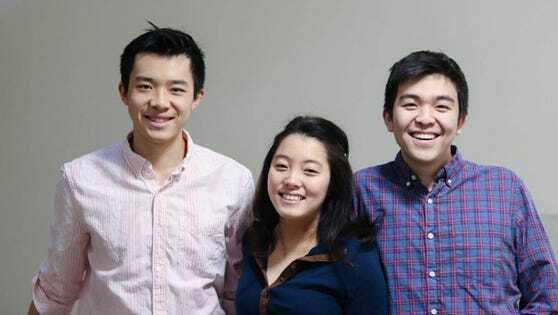 Camelot cofounders CEO Jesse Huang (left), COO Melissa Yu (middle), and CTO Matthew Zhang (right). The e-sports industry continues to grow in size, with Newzoo predicting the sector’s revenues to grow to $1.1 billion in 2019. More importantly, the gaming market intelligence provider e-sports viewership has risen to 453.8 million worldwide in 2019, up from 395M in the previous year. E-sports depend on streaming to grow and reach its audience effectively. Digging deeper into these numbers by looking at Twitch alone, the streaming website has over 15 million daily active users who spend an average of 95 minutes viewing content. The growing and vibrant market opportunity in the e-sports industry overall is driven by streaming platforms like Twitch and Youtube Gaming. Yu, Huang, and Zhang realized the growing popularity of streamers as they spent plenty of time watching League of Legends during their sophomore and junior years at Harvard University. While viewing their favorite streamers when they would play, they found interacting with them pretty limited. A viewer could donate a certain amount for a particular response from the streamer. The streamer could thank them for donating during the middle of the game, or perform a special action if they gave a more substantial amount. These types of interactions varied from streamer to streamer, but they all had one fundamental similarity – the interaction was limited to just one donor at a time. As Yu, Huang, and Zhang watched, they wondered whether the range of streamer interactions with their viewers could include multiple donors at once, or a majority of the active commenters in the chat box. This capability didn’t exist yet, and as loyal fans who wanted a better experience rewarding streamers for their entertaining gameplay and personalities, they decided to build it themselves. Camelot is a streaming overlay (a graphical interface used by the streamer to display information to their audience) used by streamers on Twitch to attract “bounties” from their viewing audience. Bounties are specific goals set by one viewer to where others can donate to in the hopes the streamer will accomplish the task stipulated. If the streamer does reach said goal, the bounty is paid out to them, with Camelot taking a 5% cut of the total amount. If not, everyone who contributed to that bounty gets a refund. A screenshot of the Camelot overlay in action on Carms’s stream. The bounty system Camelot implements build upon the traditional types of interactions between a streamer and their audience. Essentially, bounties crowdsource the most popular ideas of an audience so that a streamer can execute them during their gameplay. This innovation in the streaming space augments the main psychological driver in e-sports, which are the parasocial relationships formed between an audience and an entertainer – in this case, a streamer. The power of parasocial relationships relies on their ability to scale. A streamer can not only entertain, but also directly interact with his or her audience in real time during their job, whereas a traditional entertainer such as an athlete or actor is unable to given the nature of their profession. This ability for streamers to enhance their parasocial relationships at scale is Camelot’s core advantage against competitors reflects in the notable metrics they have achieved recently. The startup has over two thousand registered users and is working with thirty dedicated streamers. Streamers using Camelot have increased their donations received from viewers by 66%. The team behind Camelot is impressive: Yu previously worked at Jane Street, a leading quantitative trading firm based in New York, as a software developer and as a researcher at Oak Ridge National Laboratory; Huang was a software engineer at Quora and Google; Zhang was also a software engineer at Google and a trading intern at Citadel. The combination of their strong, prestigious liberal arts background combined with practical work experience at top-tier tech and finance firms gives them the edge in this newfound streaming industry. With these three knights sitting around gaming’s roundtable at Camelot, streamers can develop richer relationships with their audiences for a more engaging entertainment experience for all.